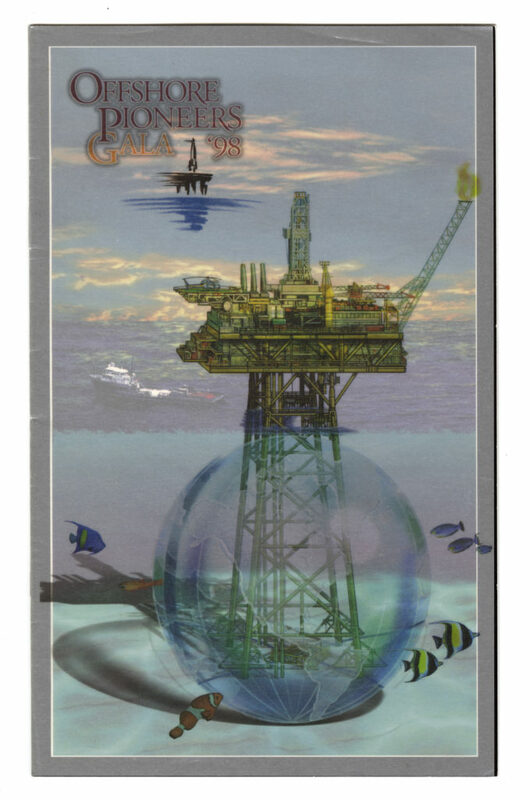 Invitation to the first Offshore Pioneers Gala in 1998, honoring inductees into the OEC Hall of Fame. Established in 1989, the OEC serves to raise awareness of the vast energy resources available beneath the world’s oceans. Archival collections preserve history in books, manuscripts, maps, photographs, video images, and exhibits. Early forms of historical research, however, were oral. Herodotus, the Greek historian credited as the “father of history,” constructed his history of the Greco-Persian Wars (fifth century BCE) from interviews he acquired traveling around the Mediterranean and Black Sea area. Thus, Herodotus brought into his stories the myriad details of the lives and culture of his narrators. History comes from stories, often told in grand narratives, and one of this nation’s grand narratives is the rise of the offshore energy industry. History tends to be written from documents, but oral history collections preserve the memories of ordinary and extraordinary people. Where could one find answers to the question: Who were the people who built the refineries, dug pipelines through the swamps, and staffed the offshore rigs? Answers abound in our UH Oral History Project interviews in Special Collections at the University of Houston Libraries. bat. Many of those who served in the military had worked for oil companies prior to the war and found jobs again when they returned as activities related to the offshore energy industry invigorated the Louisiana economy. The Energy Development series of the UH Oral Histories Project contains 700 interviews about the energy industry. Among those are the Second World War cluster with interviews and recollections of service during the war and the return to civilian work in the offshore energy industry in Louisiana after the war. Interested to read more? Click here to finish reading. 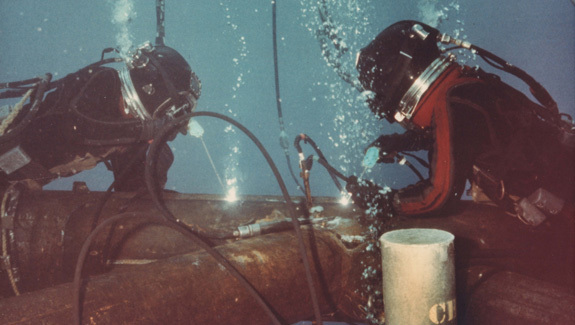 Deep sea welders work on a structure for pipelines from an offshore oil platform in the Gulf of Mexico, undated.